For printing on paper, cardboard or wood. Blades have square edges and are securely fastened to a contoured wood handle. Neoprene blades are suited for short print runs. Urethane blades are firm and impervious to acids, turpentine & thinners and suited for high usage applications. Sold as Single Unit. 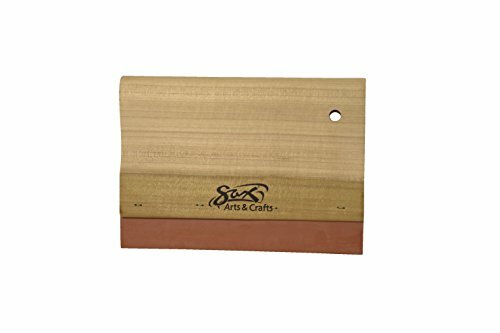 High quality squeegee with 8" neoprene blade. Designed to provide crisp images when printing on paper, cardboard and wood. Square edge blade is securely fastened to the handle. Durable wooden handle is contoured for comfort.